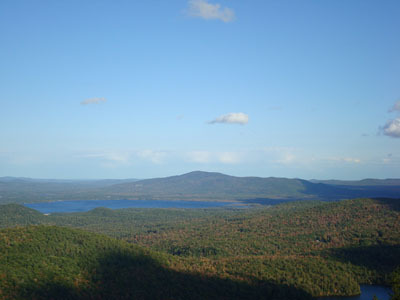 Green Mountain, located in Green Mountain State Forest, features an semi-active fire tower with multiple observation deck vistas. There are no views from the ground on the summit, however nearby Hanson Top does have a view ledge. A seasonal, full time fire tower for decades, the Green Mountain station went to part-time, high risk-only status starting in 2009.